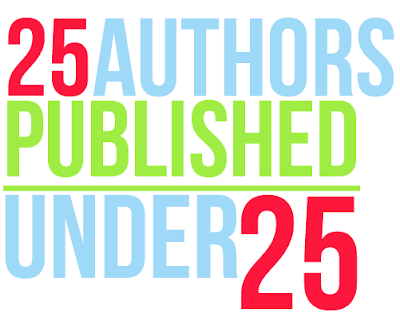 We had such a great response to our 25 authors Published Under 25 that we decided to pick two winners. Sara S. and Brandi K.
Congratulations You have your choice of the following books. 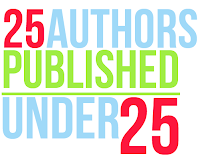 &amp;amp;amp;amp;amp;amp;lt;br/&amp;amp;amp;amp;amp;amp;gt;Share &amp;amp;amp;amp;amp;amp;lt;a href="http://www.goodreads.com"&amp;amp;amp;amp;amp;amp;gt;book reviews&amp;amp;amp;amp;amp;amp;lt;/a&amp;amp;amp;amp;amp;amp;gt; and ratings with Books &amp;amp;amp;amp;amp;amp;amp; Sensibility, and even join a &amp;amp;amp;amp;amp;amp;lt;a href="http://www.goodreads.com/group/"&amp;amp;amp;amp;amp;amp;gt;book club&amp;amp;amp;amp;amp;amp;lt;/a&amp;amp;amp;amp;amp;amp;gt; on Goodreads.